With this device,now you can take out all those stacks of 35mm, 126, 110 Slides / Negatives and Super 8 movies and convert them into digital JPEG images immediately to share and preserve them forever. 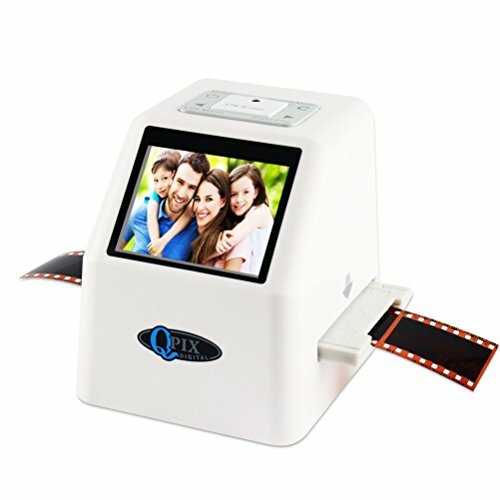 You can use device to convert all your films into to Maxiumum 22 Megapixels digital images in seconds. So simple to use, it only requires a push of a button. No computer or software is needed. Use it right out of the box to convert all your film by plugging it into an AC outlet or any USB port. All images are saved into its internal memory or optional SD/SDHC memory card, up to 32GB capacity. Easily connects to any Windows PC or MAC, to offload images or view on TV (TV Cable not included).